Three Li’l Pigs Barbeque offers buffet catering and pick-up for any type of special event, office gathering, company picnic and more. Â We provide everything that you need to ensure your guests have the accommodations they desire and the food that they will love. We also offer Pig Pickin’. There are few outdoor dinners that compare to the sight, smell and taste of a fresh roasted pig. 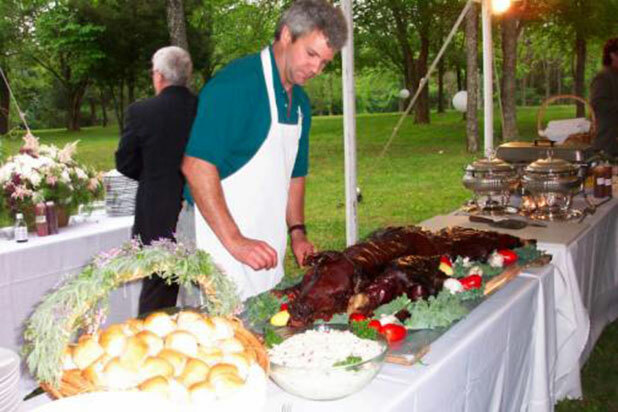 We roast the pig in our restaurant and bring it to your event. Once the pig is displayed, your guests come pick off chunks of tender pork or our staff can pull the pork and chop it up for plates and sandwiches. It is a dinner that people will remember.